From award-winning writer, director, and producer Je’Caryous Johnson comes an all-new stage play that is sure to take the nation by storm, starring hip-hop legend Snoop Dogg and R&B hit artist Tamar Braxton. A follow-up to Johnson’s Set It Off the highly anticipated Redemption of a Dogg tells the story of one man’s fight to preserve his legacy, choosing a life of fortune and fame over faith and family. Audience members will be taken on a journey of self-discovery that is set to a soundtrack covering 25 years of Snoop Dogg’s greatest hits. Snoop will make his theatrical stage debut on October 5, when Redemption of a Dogg opens in Houston, TX. The production will then embark on a month-long tour, hitting cities like Newark, Philadelphia, Brooklyn, and Washington, DC before closing on November 16 at Los Angeles’ Microsoft Theater. From multi-platinum album sales, to starring roles in film and television and now theatrical productions, it seems there is nothing Snoop Dogg can’t do. Known as one of the greatest hip-hop acts and rap artists to emerge from the 1990s, Snoop has proven himself an untouchable force in the entertainment industry. The artist has released an impressive total of sixteen studio albums over the years, achieving over 35 million worldwide sales. 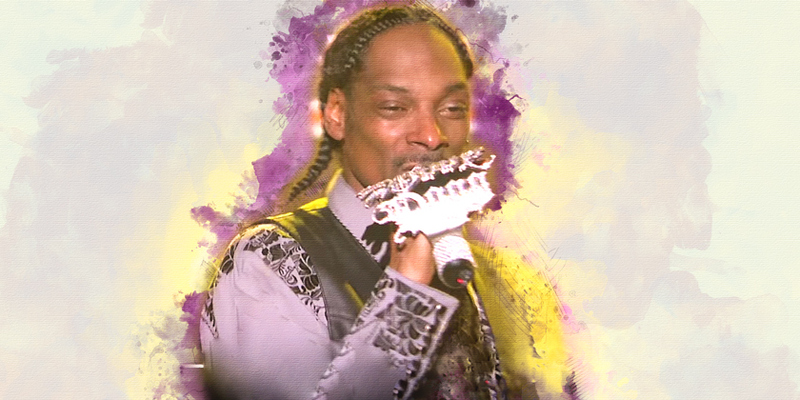 Snoop is known for his freestyling abilities and for bringing “-izzle speak” back into pop and hip-hop music. 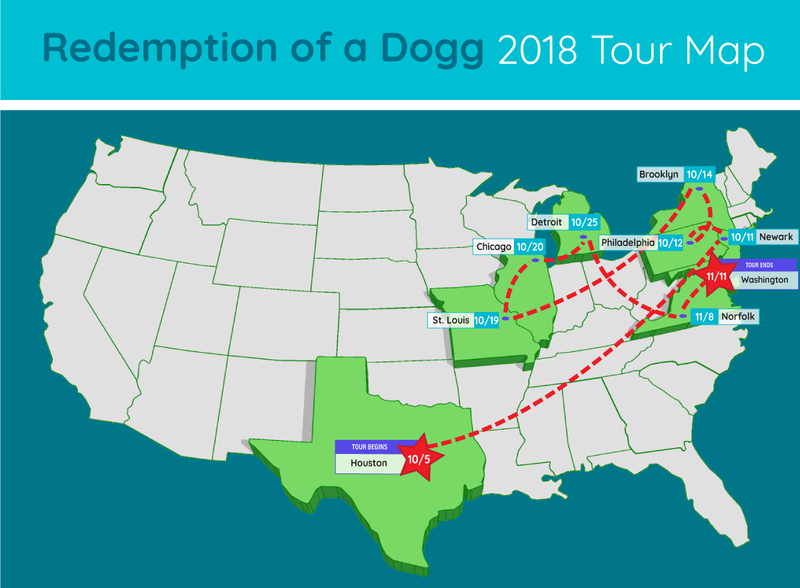 Where is Redemption of a Dogg on stage near me?